"Long and Winding Road" / "With Friends Like These" / "Shootout at the Fantasy Factory" / "Death Don't Have No Mercy" / "You Can Run...But You Can't Hide" / "No Where to Run, No Where to Hide"/ "Top of the World" / "Instant Karma"
Issue #54: Following rumors of mutant activity in the Carolinas in hopes of finding the X-Men, Wolverine rescues a traveler from a bear attack. When the traveler refuses any additional help, Wolverine follows him into a cave as night falls, after which the traveler transforms into the Hulk. 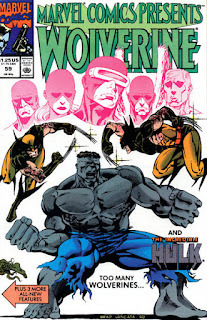 Issue #55: Wolverine and Hulk fight each other before agreeing to let bygones be bygones. The next morning, they arrive in a town. When Wolverine fills up his car with gas, he's held at gunpoint by the owner of the gas station who insists that Wolverine is a wanted killer. 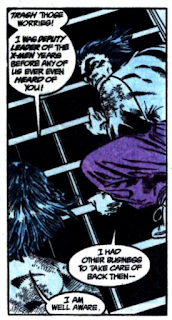 Issue #56: Someone who looks like Wolverine rages inside a prison cell, determined to be free. Meanwhile, a hitchhiking Bruce Banner is picked up by a group of tens while Wolverine breaks out of the jail at the local sheriff's station. Meanwhile, the Wolverine lookalike breaks into a pharmacy to steal drugs, and the car Banner is in is pulled over. 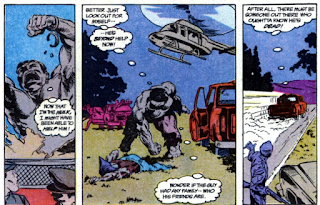 Banner is arrested just as the cops receive word of a Wolverine sighting, where, as night falls, Banner watches Wolverine get gunned down and seemingly killed before turning into Hulk. He then steals a truck and drives off. Issue #57: Wolverine awakens in the morgue and leaves the hospital, while Hulk picks up word of Wolverine having broken into a pharmaceutical lab and taking hostages. At the lab, the Wolverine lookalike is negotiating with the cops when Hulk comes crashing in. Issue #58: Hulk and the Wolverine imposter fight until the imposter freaks out and runs away, after which Hulk releases the hostages, then finds the imposter deeper in the building, having taken some pills to calm his rage. His features changed somewhat, Hulk realizes he knows who he is, even though he's supposed to be dead. 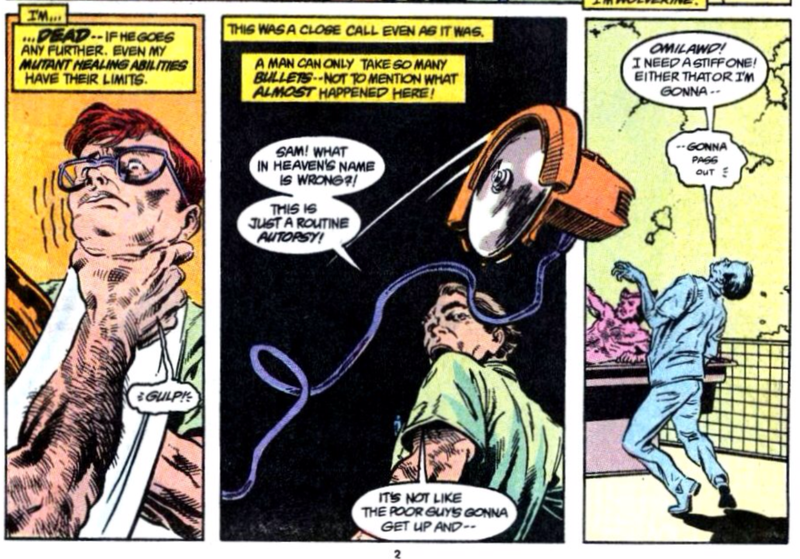 Issue #59: The Wolverine imposter admits to Hulk that he is indeed Calvin Rankin, the Mimic. He tells him of how, sometime after their last encounter, he suddenly found himself healed after Wolverine came within proximity of his power, and how, over time, he took on the physical and mental characteristics of Wolverine, including his animalistic rages. Just then, Wolverine emerges, telling Mimic he's there to help him. But Mimic insists Wolverine is responsible for ruining his life. Issue #60: Mimic attacks Wolverine before Hulk breaks them up, but just then, the sun rises, and Banner returns. Believing Mimic's father's equipment in Canada can help Mimic gain control of his powers, they hitch a ride north. But Banner gets drunk on some spiked wine offered by one of the other passengers, and when they arrive in Toronto the next night, a wild Hulk emerges. Issue #61: Wolverine and Mimic fight Hulk atop the Space Needle, until Hulk is lured away by a beacon to the hidden lab of Mimic's father. There, Hulk transform into Banner, and the three go inside, where a holographic representation of Mimic's father explains that the equipment in the lab keeps Mimic's powers in check, but that once Mimic strayed too far away from the lab, his power returned. As the image fades away, Banner realizes some of the equipment is overtaxed, but Mimic is reluctant to repair it, not wanting to be beholden to machinery his entire life. Wolverine offers another way to gain control, and helps him gain peace through meditation. The antagonist of this story is former X-Man Mimic, the guy who can absorb the abilities of the people around him, forced his way onto the X-Men, and briefly served as leader of the team while Cyclops was down with an especially bad case of the fist-clenching angst. This is Mimic's first appearance since Hulk #161, when he was believed to have died, which was examined briefly as part of the X-Men's Hiatus Years. We'll see him next popping up post-"Age of Apocalypse" in X-Force, after which he'll serve for a time as a lackey to Onslaught. Issue #58 contains a one-shot Iron Man story by Spider-Man and Dr. Strange co-creator Steve Ditko, presumably done as part of his late 80s return to Marvel (which is when he created Speedball and later, Squirrel Girl). Art for this story comes from Dave Ross, whose work I'm chiefly familiar with from his run on Avengers West Coast (he was that series' last regular artist before its cancellation). He has something of a distinct style (his figures are usually fairly wide-shouldered with long, almost gangly arms, a bit like classic Don Heck) and I mostly like his work, though I don't think he ever hit it really big (his AWC work seems to be his biggest credit; he doesn't even warrant a Wikipedia page). Issue #57 features a cover from Incredible Hulk artist Dale Keown, while the following issue's cover is drawn by former X-Men penciller Dave Cockrum. Wolverine's appearance in this story occurs directly following his appearance in Marvel Comics Presents #48-50, and thus between his appearance in New Mutants #94 and issue #24 of his regular series. Hulk appears between issues #369 and #370 of his series. 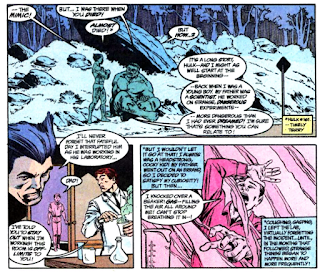 As the story begins, Wolverine is searching for the missing X-Men (though Jubilee and Psylocke are not with him), following up on rumors of mutant activity, a reference to Freedom Force's battle with Hulk in Hulk #369. In issue #55, a footnote indicates Wolverine and Hulk's last encounter being Wolverine #12; it was in fact issue #8. 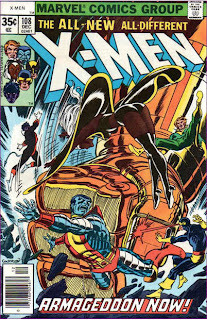 Mimic references his brief time as leader of the X-Men. 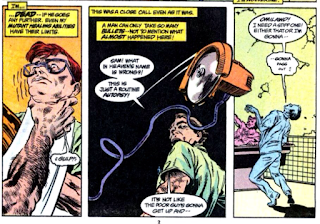 Issue #61 establishes that a control pulse created by Mimic's father is responsible for keeping him under control; as he strays from it, his powers get wonky. I don't think this ever gets referenced again. A panel in issue #61 suggests that Mimic's father may have been involved in Wolverine's past, a tease that to my knowledge never goes anywhere or is ever referenced anywhere else. 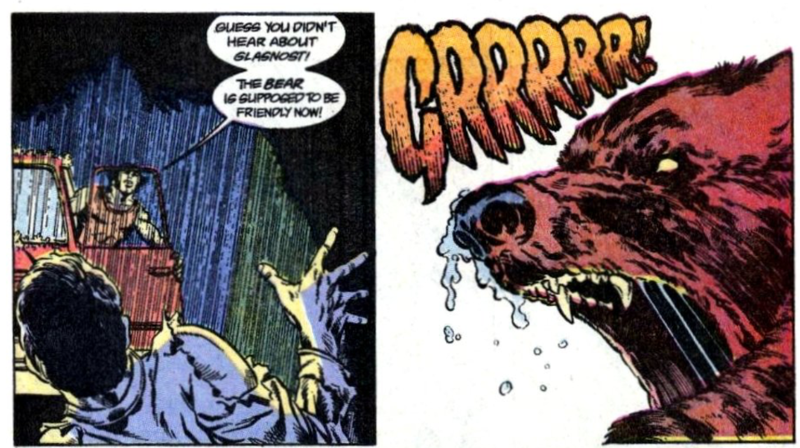 Wolverine references Glasnost when fighting a bear. In issue #57, Wolverine acknowledges that even his healing factor has limits, and he wouldn't be likely to come back from an attempted autopsy. 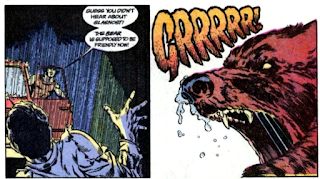 Despite being one of the few characters to join the X-Men between the series' first issue and its resurrection in 1975, Mimic is an often overlooked character. For the most past, with good reason: he's not a mutant, which makes him a strange addition to a team of mutants, especially in the early days, and he was a loud-mouthed braggart from day one, a new character who immediately started talking about how lame the existing characters were, which doesn't do a lot to endear a new character to readers. Nonetheless, I have some affection for Mimic, one of the X-Men's biggest also-rans, which is chiefly why I wanted to read this story. But tying Mimic to Wolverine probably isn't the best idea: Wolverine, even at this point in time, was getting worked into an increasingly-ludicrous number of characters' pasts (something that's certainly only gotten worse with time), I'm not sure Mimic actually changing to look like Wolverine is how his power is supposed to work, and even though the story kind of explains how it happened, giving him actual adamantium claws like Wolverine's is just flat out ridiculous. Which is probably why this story never gets referenced again (a common occurrence, it seems, with Marvel Comics Presents stories), even in the rare instances that Mimic himself pops up. But as Marvel Comics Presents stories go, this isn't too bad. The usual MCP foibles are present: thanks to the short but numerous chapters, the pacing is off, managing to be both rushed and ponderous at various times, there's the obligatory filler material (most of issue #59 is a recap of Mimic's previous appearances) and like most MCP stories, it's pretty isolated from anything else going on in either of the starring characters' books at the time. 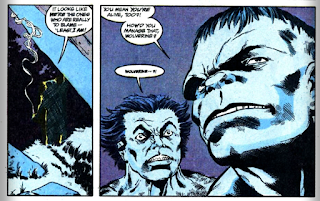 But the Dave Ross art has a nice grotesque charm to it, and in addition to the presence of Mimic, the Hulk/Wolverine relationship depicted here is actually a nice continuation of the grudging respect and teasing rapport they started to develop in Wolverine #8, a rare case of Marvel Comics Presents featuring character development that actually sticks outside the immediate story. Tomorrow, Excalibur #26 and Friday, Wolverine #29. Next week, Uncanny X-Men #267. Meanwhile, a hitchhiking Bruce Banner is picked up by a group of tens while Wolverine breaks out of the jail at the local sheriff's station. I was genuinely perplexed by "group of tens", but I just realized you meant "group of teens". Didn't this story reveal that Mimic actually was a mutant? 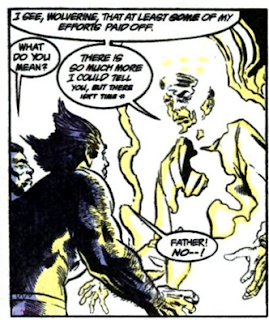 I swore there was something about how his power kept returning was an indication that it was an innate honest-to-goodness we really mean it mutant power. And doesn’t recognize him as Bruce Banner. 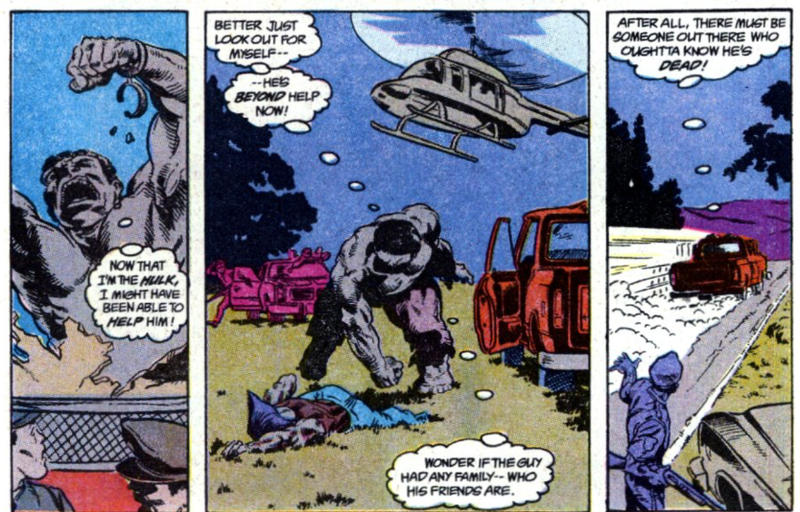 Nor does Hulk mention when he gets into Wolverine’s truck that Wolverine had picked him up as Banner earlier; nor when Hulk later reverts to Banner does Wolverine make any SMH reference to Banner having been that guy. The rapport built between Hulk and Wolverine is enjoyable. I also like where the story leaves Mimic. So much of this is just awful, though. For me the disappointment set in upon reading the last two captions on the very first page, whose exclamation points are completely wrong for Logan’s internal monologue. 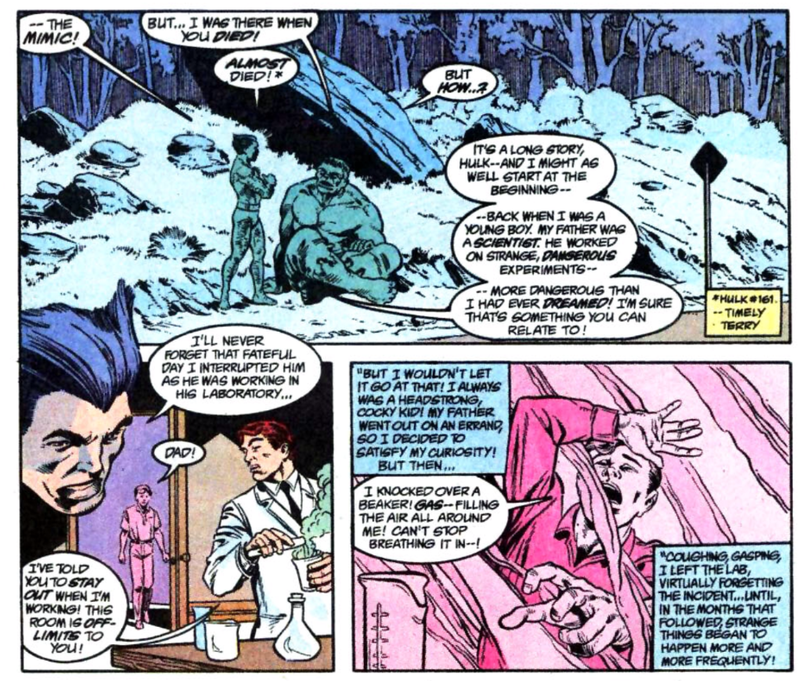 Which is a particular shame because later, in what’s presumably the writer making fun of a recently established and quite lasting convention, we get an amusing scene where the captions of Wolverine’s first-person in-the-moment narration are juxtaposed with Hulk’s old-fashioned thought bubbles. Ha, my feelings were the same as Blam's, except my initial reaction was that it is overall the wrong voice for Wolverine. It's not Logan, it's someone who's masquerading as him. Which, of course, turned out to be a chuckleworthy notion as the story opened. I was so totally expecting that the young coroner trainee was going to get a shock from hitting the adamantium bones with his bone saw. I feel cheated it didn't happen. Also, the law enforcement officers in #56... 'Wilford' and 'Smokey' OR, rather, Zed and Maynard? Anyway, I like that they left the whole skewed setup with the extremely questionable cops and the coroners covering for them as a loose end world-building-y side-show, complete with the Comics Code seal there on the cover and all. @A. Painter: Didn't this story reveal that Mimic actually was a mutant? I swore there was something about how his power kept returning was an indication that it was an innate honest-to-goodness we really mean it mutant power. Maybe? Honestly, I skimmed most of the "Mimic recap" stuff, so they might have slipped that in there, but I don't remember that detail leaping out at me. @Blam: So much of this is just awful, though. For me the disappointment set in upon reading the last two captions on the very first page, whose exclamation points are completely wrong for Logan’s internal monologue. 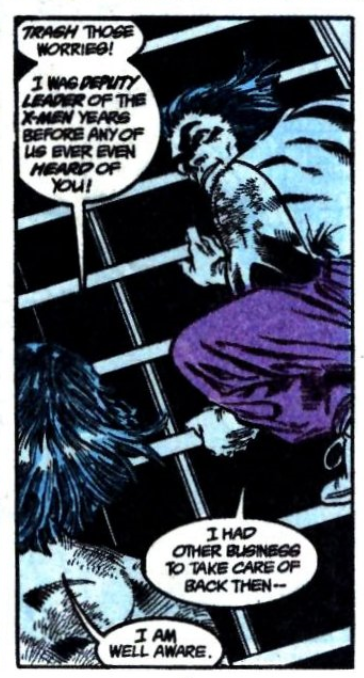 I feel like that's a pretty good summation of most Marvel Comics Presents stories in a nutshell: well-intentioned, with a few interesting ideas, but sloppily executed, even/especially in little details like that.